Home > Employment Law > I Signed a Non-Compete Agreement: Can I Work for a Competitor? You’re looking for a new job in the same industry you’ve been working in. But if you’re thinking “I signed an employee non compete agreement: can I work for a competitor?” then you probably have a lot of questions about how to proceed. The short answer to your question is, it depends. We’ll take you through the basics of non-compete agreements, as well as your options as a Virginia resident if you’ve signed a non-compete agreement. Non-Compete Agreement: What is It? A non-compete agreement, or a non-compete clause, is a document created for as a contract between the employer and employee that states the employee will not perform related work that would be a conflict of interest to the party issuing the document. Non-compete agreements are usually binding even after the employee leaves the employer that issued the clause. Non-compete agreements are usually legally binding. However, if you already signed an agreement, you may still consult an attorney to guide you through the document, so you can get a clear understanding of what you signed. Before you sign a contract not to compete, you should consult an employment law attorney to make sure the agreement is fair and has your interests in mind. If you already signed a non-compete agreement without consulting a professional, keep reading to learn what this may mean for you. 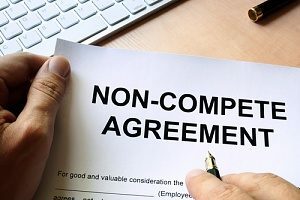 Why Do Some Employers Request a Non-Compete Agreement? There are various reasons why an employer might request an employee sign a non-compete agreement. The most common reason an employer chooses to have an employee sign a non-compete clause is for confidentiality. These agreements are meant to ensure that the employee will not exchange any concepts, private practices, reports, etc. with competitors that could use that type of information against them and gain a competitive edge. Sometimes, non-compete agreements are thrown out when challenged because an employer claimed certain interests that go beyond what is necessary. For example, if an employer in the finance industry claims their employee is barred from working for an employer in the medical industry, more than likely the non-compete agreement would be classified as unfair and tossed out by a judge, should the employer sue. 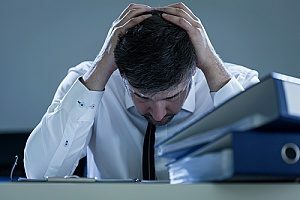 If the terms within the employee non compete agreement are found to be in any way cruel, particularly if it disables you to earn a living outside of reasonable terms, the contract will be considered null and void. Usually non-compete agreements won’t be held as binding if they prove to be harmful, physically, financially or otherwise. Non-compete agreements usually put the employer’s interests first and aren’t always favorable for the signee once they decide to leave and pursue employment elsewhere. If you’re looking to get out of your non-compete clause, there are a few ways you may be able to get out of it. Is your new position multiple states away or in a different industry than your last position? If so, your ability to prove that the new position isn’t a threat to your last employer may be your ticket to getting out of your clause. If you’re financially prepared to buy your way out of your contract, that’s another option to consider. If your previous employer can lay out how your working for their competitor would damage them financially, you may be able to buy your way out of the contract by paying them according to their statements. Were you fired from your last position without reason given? Or perhaps you left the job voluntarily due to misconduct on the part of your employer or the staff. If so, this could be yet another way you could free yourself of the non-compete clause. If you find yourself unable to get out of a non-compete agreement for whatever reason, the best thing to do is to stay within the terms and find employment that won’t break the clause. If you violate any of the terms and your previous employer catches wind of it, it could mean serious legal trouble for you. Once you get hired at your new position, inform your new employer of your non-compete clause and provide them a copy, so they’re made aware. This way, you and your new employer can work together to make sure you’re staying within your promise while still performing your duties at your new place of employment as best you can. Now that you have an idea of just what goes into a non-compete clause, your next step should be to find an employment law attorney that can go through all your options. Contact Brown Firm for help with understanding your non-compete agreement rights and provide options for how you can proceed.